Click the heading above for the latest parent email! If you're not receiving McCabe parent emails, please check your email address through your ParentVUE account, or give your school office a call and we'll help you stay connected! This month, McCabe’s TK-5th grade will participate in the American Heart Association’s “Kids Heart Challenge”, previously known as Jump Rope for Heart. 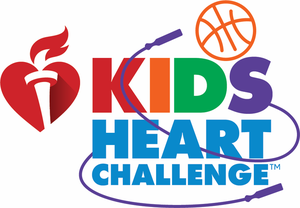 Our goal this year is to have each and every student take the Heart Challenge online. To register your child and/or make a donation, visit http://www2.heart.org/site/TR?pg=company&fr_id=4000&company_id=160924. As of today, our students have raised $11,324.01 of their $25,000 goal! What a difference our McCabe students are making in the heart health of their families and friends!! LCAP SURVEY: If you haven’t already taken our brief LCAP Stakeholder/Community/Parent survey, it’s not too late! We’ve extended the window of time through Friday May 5th! Click the link below to take the survey. We value your input! TESTING SCHEDULE: Testing begins next week starting with 8th Grade taking their CAST Science Test April 10-12. Please check the dates listed below for upcoming testing weeks. Be sure your child has plenty of sleep the night before each testing day and a good breakfast each morning. To avoid interruptions during testing, we will not call up students to pick up lunch/homework/sports equipment/instruments during testing time. Please schedule any doctor or dentist appointments around your child’s testing days. It is also VERY important for students to arrive to school on time and be in the right state of mind for a day of testing! CORFMAN OLYMPICS: Corfman’s Olympics will be held on April 18th. Events will start promptly at 8:20am after attendance has been taken and continue throughout the morning. Parents and family members are encouraged to attend! Bring your lawn chairs, snacks, and ice chests with water/Gatorade for the big event. Be sure to have your ID in hand if you plan to take your child with you after his/her events. All students must be signed out through the office. Be sure to look for the events map in next Friday’s email! 5th GRADE: Your BizTown trip is coming up on April 16th! Payments are due and may be turned into the Corfman office. 8th GRADE: Graduation pictures are right around the corner and we’re looking for a few parents to assist on Tuesday, April 16th throughout the day from 8:15am until about 2:40pm. We’ll need some assistance with adjusting ties, fixing hair, and helping students get into graduation gowns prior to pictures. If you’re available to help out, give Becky a call in the Corfman office at (760) 335-5200 or shoot her an email at becky.gibbs@muesd.net. Thanks in advance for the help! LUNCH PAYMENT: Lunch payments may be made in either school office or online through My School Bucks at http://www.myschoolbucks.com. 8th Grade Graduation Pictures start at 8:15am. Parents and family members are encouraged to attend!